Before I get to blogging about my recent trip, I have a pressing fashion story to post. 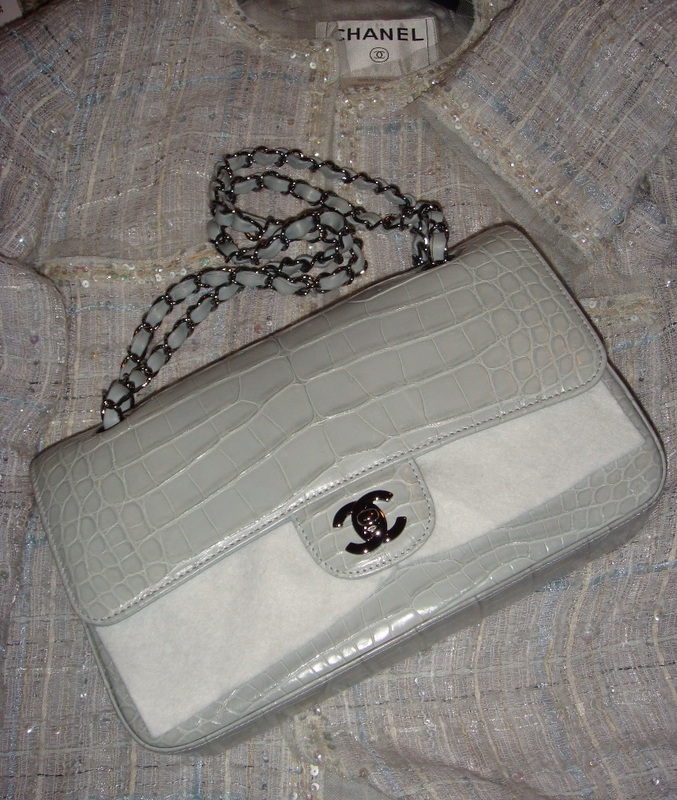 In the fall of 2008 I had a second chance at finding my dream purse, an anemic-grey alligator classic flap. 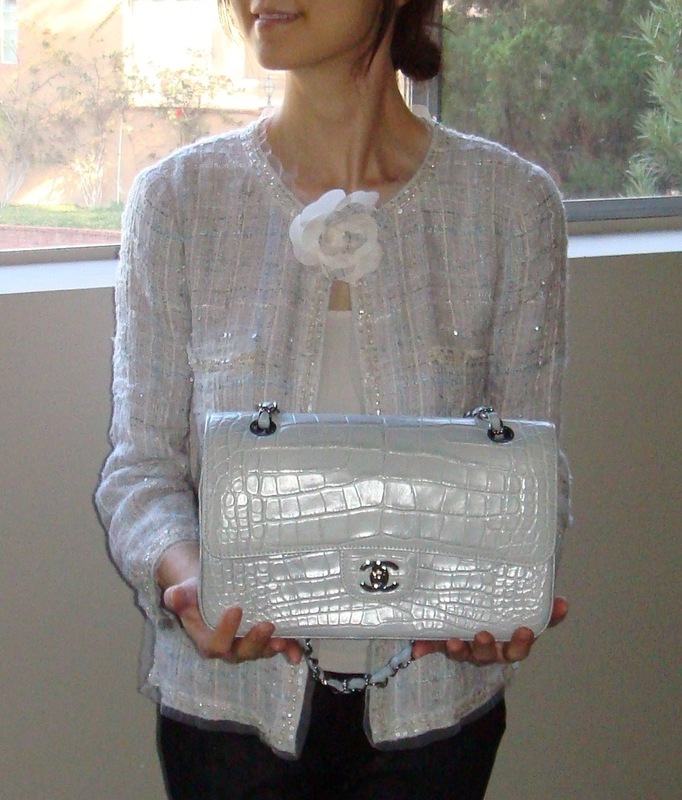 I’d discussed it ad nauseum at the purse forum where other purse fanatics shared my thrill of victory. It was a requited (I loved it and it loved me back) conquest after a few years of hard-fought chase…on my part. It was there all along, waiting for me to catch up. 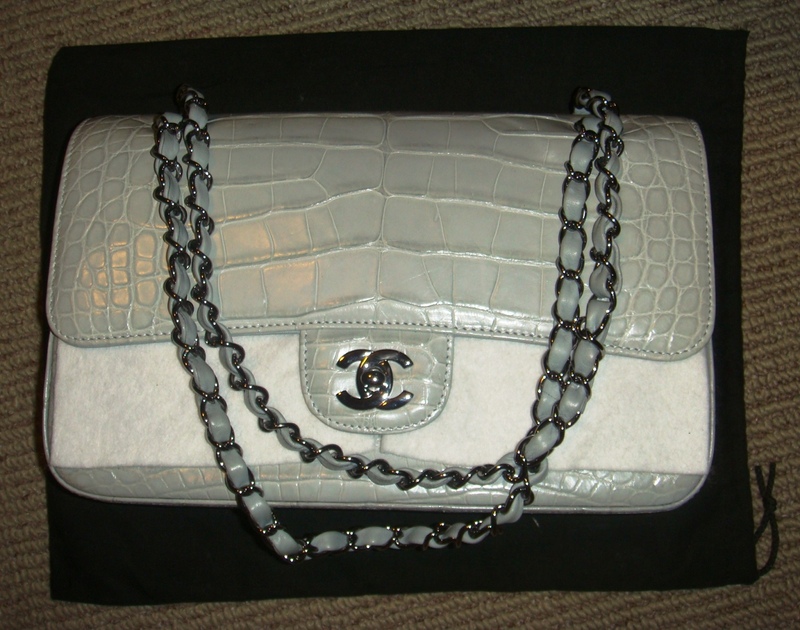 Chanel releases exotic bags in a few rare colors every so often and this specific one was a particularly limited release, with silver hardware no less. It was as if the purse gods had looked inside my mind and handed me my fantasy. It made the perfect companion to my favorite jacket. The glacier grey bag melted this ice queen’s heart at first sight; it had me at bonjour. I know, seven years of higher education and I’m writing about falling for a purse. My parents must be so proud. But what can a girl do…love finds you where it wants, and the story begs to be told. As with all juicy love stories, there is heartbreak. And then redemption. When you experience a major shock to your body, your mind shuts down momentarily, most likely as a defense mechanism against brain failure. I was not physically harmed but my heart did leap out of my chest. And stayed out. Panic rose and then…silence. My head escaped into some weird empty space, or I should say complete detachment, and the rest of me went on auto pilot and made all the necessary calls to management to rectify the matter. Then I put the purse away. 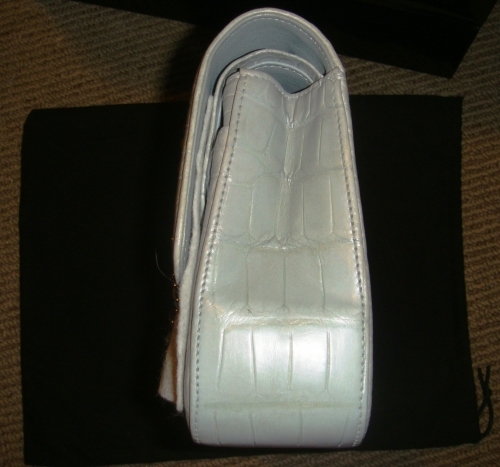 Some frustrating days of poor client service later (I was basically shown the door by the store–so much for 13 years of loyal patronage), I took the bag out and studied it. So this is what it’s like to have one’s heart broken, I told myself…agony is but a mere step from ecstasy, always waiting in the wings. How does one find redemption? About ten days later I took control of the matter and surrendered my damaged bag to the local Chanel boutique’s repairs manager. When he pulled out the bag and held it up in the air, there was a collective gasp from the sales associates over the glow of the bag in the natural daylight. In that very moment I think I had a chemical reaction and my heart jumped back inside my chest. And as he showed them the pen mark, the gasp became a group moan. Shared joy is twice joy, and shared pain is half pain as an old German saying goes. I was in the right place, comforted by strangers whose only connection to me was a love for special items. It’s not the end of the world, the manager assured me. We will fix it. My heart began to pump again. So fast forward 7.5 months later, and today I am back inside the small office on the third floor of the Chanel boutique. The bag is finally back from repairs. Do you know what it’s like to meet an old boyfriend twenty-something years later? This is not like that. But the butterflies are there in your stomach, and you secretly want the crush to remain. There is no gasp today. I already know they had to redye and reglaze the bag to cover the pen mark. I had been telling myself that the bag will not be in the exact same color as before. Most likely less anemic looking (I just have a thing for pale, frail looking colors). 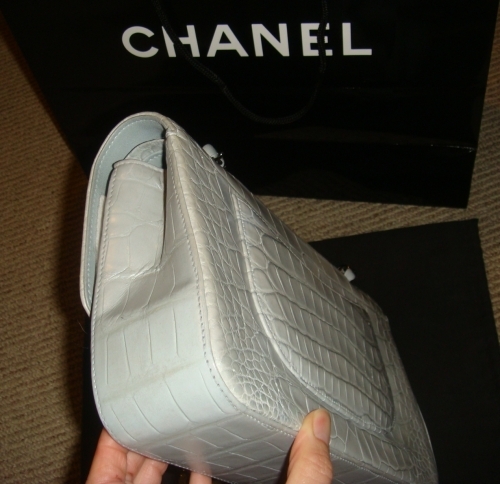 And sure enough, I immediately notice that the gusset of the bag is a smidge darker than the rest of the purse–it also looks more matted than the front and back of the bag, and the seams between the scales of the gator skin have been filled in from the new dye so that the dégradé effect is no longer visible. But because of this very reason, they did not re-dye the entire bag. Intellectually I objectively agree with the decisions that were made in how to repair it. Emotionally I am touched that they mixed the dyes no less than six times and tested each on skin samples to get as close to the original color as possible. They tell me the owner of the repair shop took the challenge on himself, painstakingly, methodically, carefully. While I was anxiously waiting, somewhere someone was agonizing over mending my heart. The two people who are in the room with me right now note that had I not mentioned it, they would never have seen the slight difference in colors or texture. But that’s the problem with love; your senses are heightened and you do notice. Every. Little. Thing. Did I find redemption today? Yes. 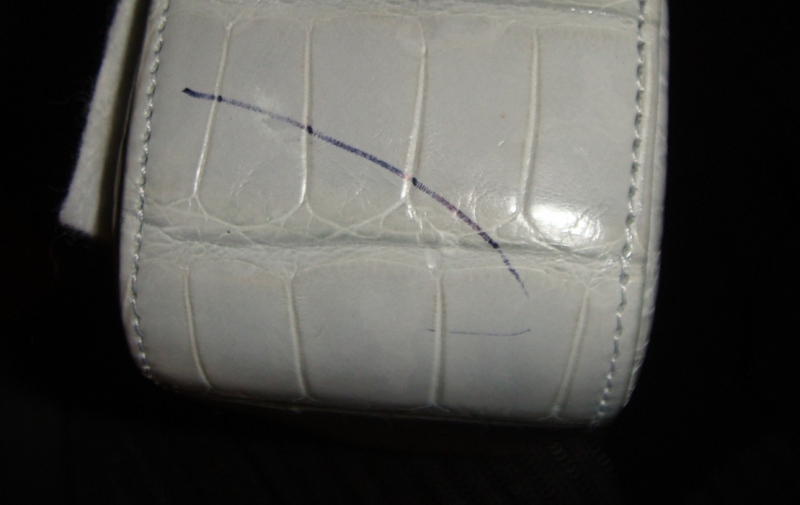 The pen mark is gone, and the repairs manager quickly offers to waive my repairs fees because I am not perfectly satisfied. This gesture alone doubles my already strong commitment to the brand. The fact that they apologize for not making me whole from a mess they did not create is extraordinary, especially in light of complete disregard for client service at the other upscale store which shall go nameless. Karma restrains me from being catty but I can certainly refrain from spending my money there, and that’s basically karma in action. So how does my love story end? Did love remain? Larkie – Congrats on getting her back. I’ve been waiting to see if she would return in good form and it looks like she has. 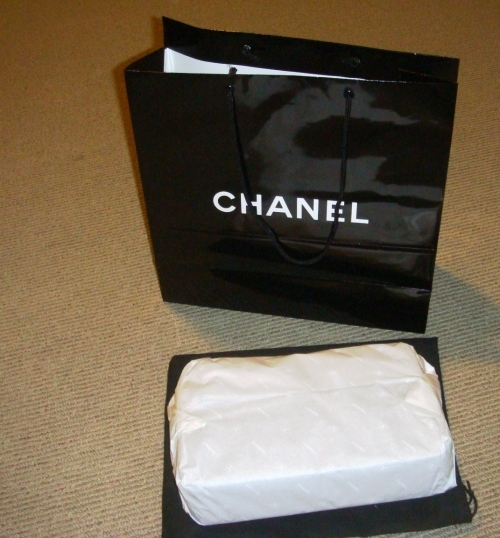 Chanel has really done a fantastic job, both on the bag and in their customer service. I’m super happy for you!